Since I get a lot of questions about my lighting techniques I’ve decided to add the technical info into the post. Please leave comments and let me know if you like the way I’ve included this information with the images. If so, I may start doing this more often. 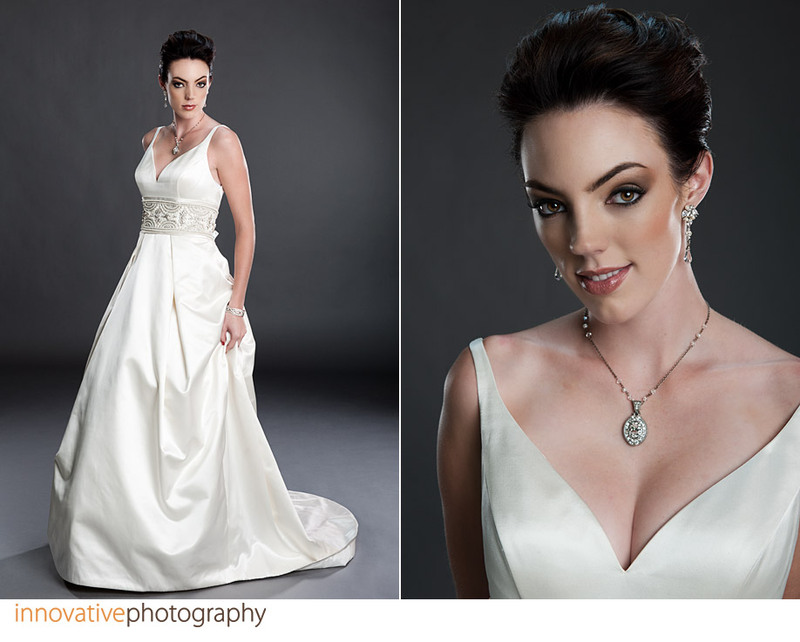 A few months ago, my AWESOME friends Hilary and Justin at Alta Moda Bridal asked me to help them with part of their 2011 ad campaign that was going to run in Utah Bride & Groom magazine (if you don’t have a copy of this magazine, go get one… it’s beautiful!). To say the least, I was honored. Hilary and Justin’s vision was a series of three consecutive full page ads, one of which I photographed. The other two pages were photographed by two amazing photographers, both of whom I’m lucky to call friends. 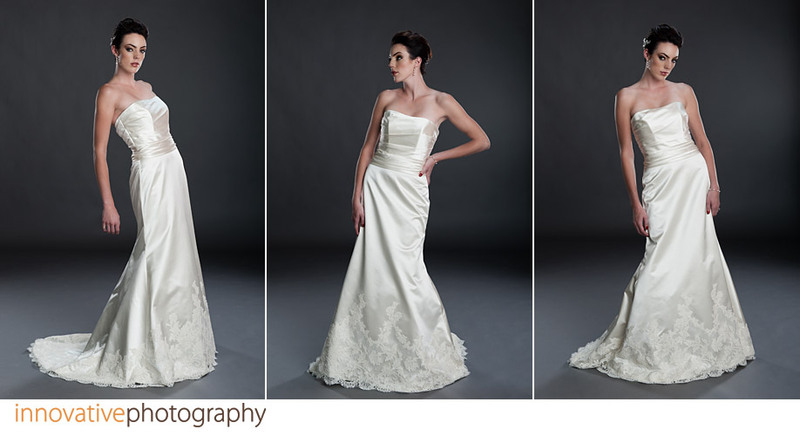 For the ad that I shot, they wanted something a little more traditional but still with a fashion edge. Here are all three pages in order as they ran in the magazine, starting with the cover. The first page of the ad was shot by the amazing Erin Kate, the second was shot by your’s truly and the third was shot by the wonderful Jacque Lynn. 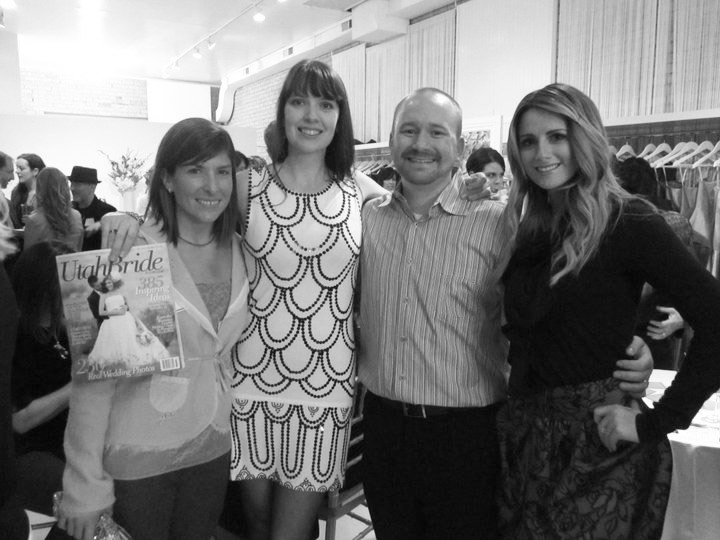 Here is a shot of Erin, Hilary, Myself and Jacque at the grand opening party at Lily & Iris right after the issue hit the racks. 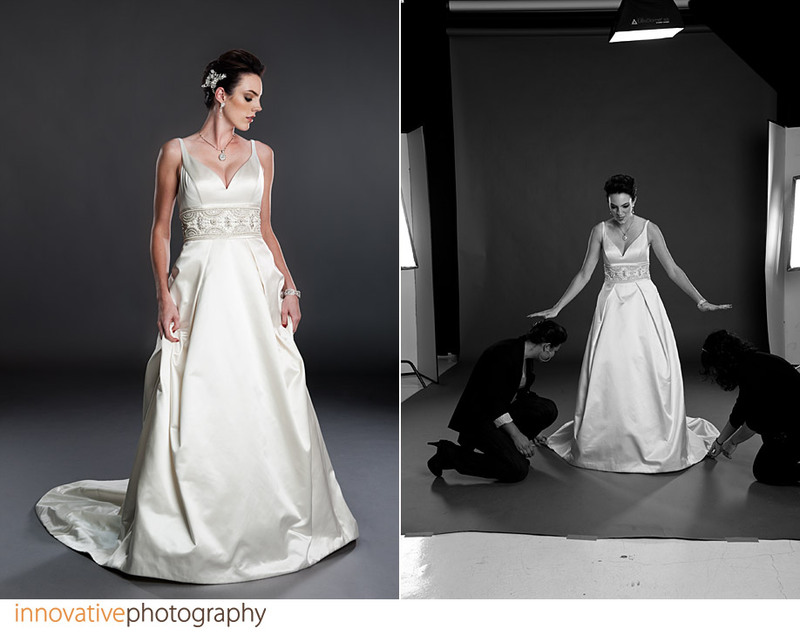 Here are some of the images from the shoot that weren’t chosen for the ad along with some behind the scenes images. Hair and Make-up: Flavia Palacios Versa Artistry. This shows part of the lighting setup I used to capture these images. I had two ProPhoto lights in softboxes (shown in this image) lighting her at about a 65 degree angle behind and on either side. This creates the beautiful accent light you see on the edges of her face and arms. I also had a ProPhoto light in a 6′ octabox in front of her to camera right at about a 45 degree angle and a Nikon SB900 speed-light in a small softbox above her for a hair light. I used the two white panels that you see behind the lights as gobo’s to block the stray light from hitting the background. 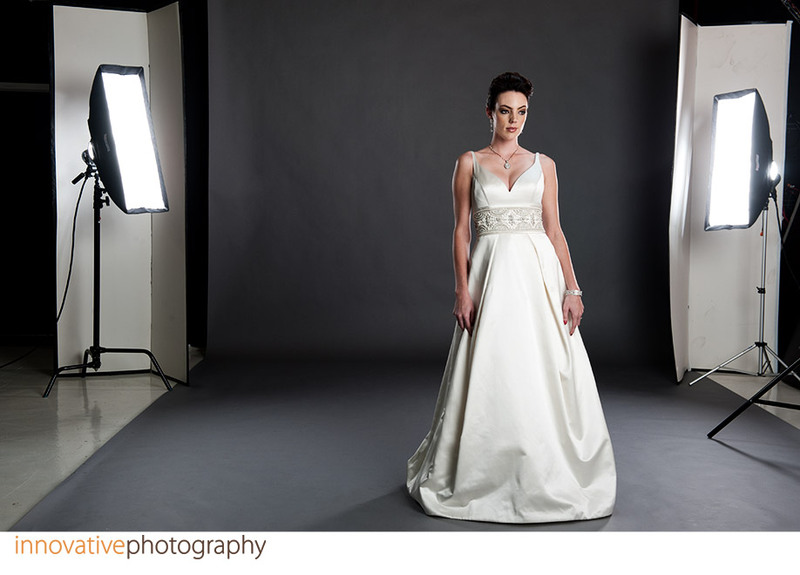 In the image on the right you can really see the soft light coming from the SB900 that I’m using as a hair light. When using a setup like this, light control is crucial to creating a successful image. You need to meter each light independently as well as prevent any stray light from finding it’s way to places you don’t want it to be (hence the gobo’s used in the image above). February 11, 2011 - 12:48 am	ryan - Thank you Tessa!